For some reason the Naxiots adopted a passive stand attacked BC Most the populace took refuge in the mountains those wh remained in the city were enslaved, and the city was burned and its temples destroyed. Yet at the ba of Salamis the Naxian conscripts deserted their sian masters and took the Athenian side. Many Naxiety fought at the battle of Plataea. and the island’s name on the roll of honour inscribed on the tripod at Delphi and on the base of a statue of Zeus at olympia Even so, the destruction ofNaxos by the Persians tively marked the end of the island’s independent his tory, At the end of the Persian wars, it came under Athe- nian control and all efforts to escape from it proved fruitless until the defeat of Athens by Sparta in the Peloponnesian war. Spartan dominance did not bring peace, though, and in the 4th century the Athenians nd Spartans were fight over Naxos again. Naxos lat. joined the League of Islanders and came under the influence first of the Ptolemies of Egypt, then of Mac edon and finally of Rhodes. After 41 BC Naxos formed part of the Roman eparchy of the islands whose head quarters was in Rhodes an administrative arrangement mirrored, in the early Christian era, by the subjection church in Naxos to episcopal control from Rhodes The Byzantine period has left clear marks on Naaos some five hundred churches and monasteries of al possiblestyles and types, with excellent wall paintings icons, friezes, inscriptions and so on. 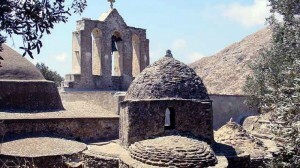 Early Christian churches have been built on the remains of ancient temples, and during the iconoclastic period churches on Naxos were decorated without the use of icons Caves thought in ancient times to be the haunts nymphs and gods were also converted into Christian shrines, and when the pirates began to ravage the lands, the monasteries were fortified to keep them out. 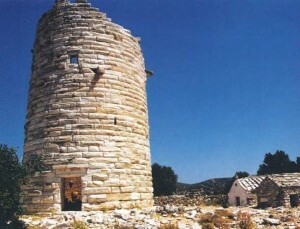 It is believed by many scholars that in Byzantine times the centres of life on Naxos were in the Tragala Apano Kastro and Sagkri Kastro TApalrou regions. 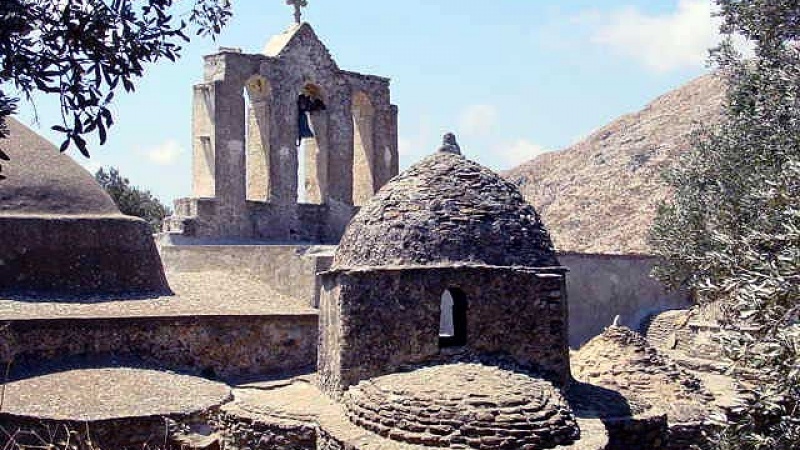 The plain of Sagkri with scores of little churches has been Mystras in the 1080 tions have revealed thatbefore Naxos was the seat of the provincia governor controlling third the theme’ administrative unit the Aegean, named Nikitas and other senior was the of a bishop and after 1088 oft metropolitan bishop. On a localand provincial level at least, Naxos must have been quite an important place during the Byzantine period. The temple of Panagia Drosiani, one of the ancient Christian tembles in Greece with rare murals.